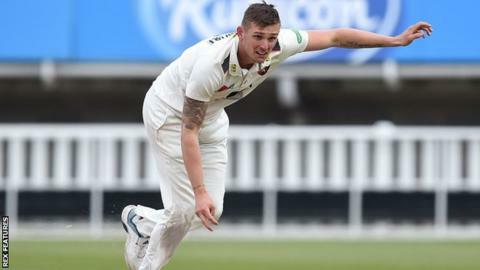 Harry Podmore took five wickets on day three to put Kent on the brink of a win at fellow promoted side Warwickshire. Resuming on 136-3 in reply to Kent's 504-9 declared, Warwickshire frustrated the visitors through Dom Sibley, Adam Hose (31) and Tim Ambrose (44). But Podmore took three wickets in 11 balls, most crucially trapping Sibley lbw to end his marathon knock of 132 as Warwickshire were all out for 346. 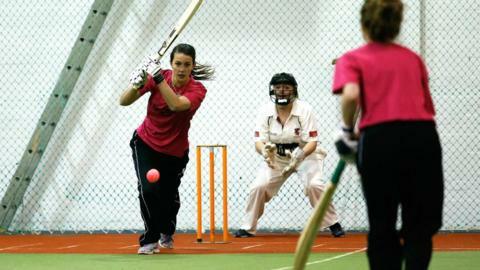 Forced to follow on, the visitors ended on 79-4 as Podmore struck twice more. Needing 355 to avoid being asked to bat again, Warwickshire came within nine runs of that target, largely thanks to Sibley, who scored a hundred for the fifth successive first-class match in a marathon stay at the crease that lasted more than six-and-a-half hours. 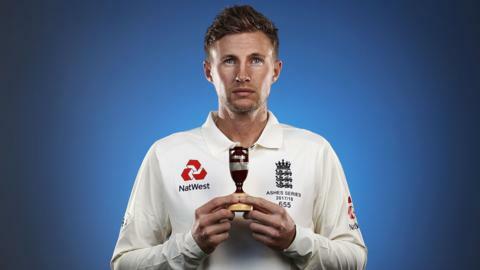 He put on 70 with Hose and then 87 with Ambrose to give the hosts hope of avoiding defeat, only for Warwickshire to lose five wickets for 32 runs in an 11-over spell before tea as Podmore sparked the collapse. Matthew Milnes (3-50) and the evergreen Darren Stevens (3-56) provided support as Warwickshire slipped from 241-4 to 273-9. Skipper Jeetan Patel (40) and Ryan Sidebottom (27 not out) aggressively attempted to avoid the follow-on but fell just short as the former skied Stevens to mid-off in the final over before tea. Their decline continued as Podmore removed opener Will Rhodes for a second-ball duck after the follow-on and Sibley was brilliantly caught on the boundary by Zak Crawley for just five. Sam Hain (34 not out) led a mini-recovery but Warwickshire need 79 more runs to merely avoid an innings defeat as Kent - stunned by a Somerset fightback in last week's season opener - closed in on a first Championship Division One win since 2010.